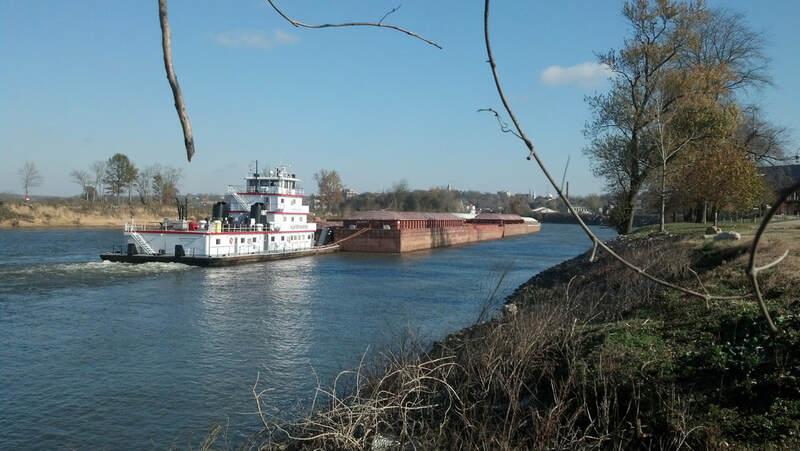 Currently involved in a multi-year project he calls “Cumberland River – An American Legacy,” Larry is gathering on-site research from Harlan, Kentucky down through Tennessee and back to where the almost 700 mile long waterway meets the Ohio River near Smithland, Kentucky. He is presenting the paintings in a series of solo shows in both states. “I hope to instill an appreciation of the aquatic environment and local history of these life-giving waters.” He finished the first phase of this project in the summer of 2016 and is considering a book of his travels including paintings and photographs. 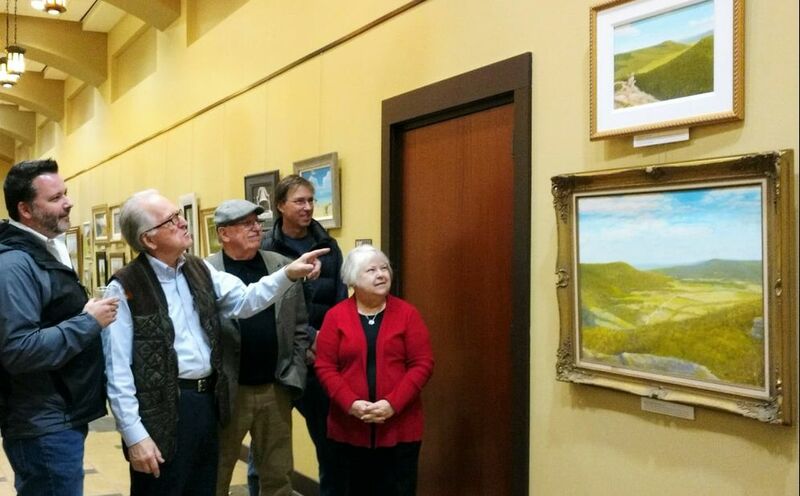 Take a moment to view these collectible river paintings in the Cumberland River Gallery and Larry's additional artwork in his Corner Store Gallery. Larry and his "sip and paint" class at the Kentucky Ducks Unlimited Convention. "August Afternoon At Leatherwood Ford"
August Afternoon At Leatherwood Ford is one of the latest additions to the Cumberland River Series. The scene is on the largest branch of the river, Big South Fork, which originates on the Cumberland Plateau in Scott County (TN) and flows northward with a precipitous drop before emptying into Lake Cumberland in Kentucky. 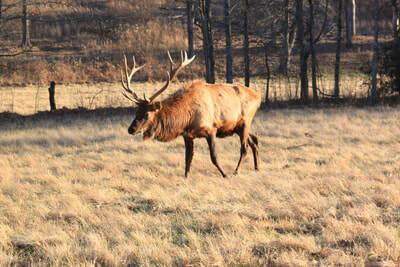 The wild tributary flows through the Big South Fork National Recreation Area. 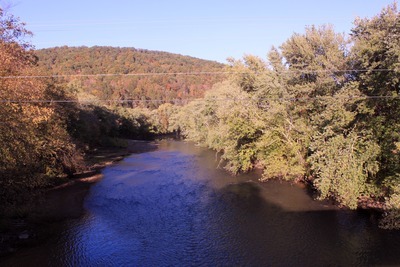 A low-water bridge at Leatherwood was once the only way to ford the river. ​Fall Creek Falls (left) the highest waterfall east of the Rockies. The outflow winds up in the Caney Fork River which empties into the Cumberland River at Carthage (TN). It is protected within the 16,000 acre state park bearing its name. Guests at the Crossville reception in January hear how these two scenes of Grassy Cove evolved. Unfortunately, my son Rob standing behind me, died unexpectedly two weeks later. I treasure that evening. Sign up for our Newsletter on the Contact Page. Please share. Thank you!